To access this issue of SIMPLY ELEVATE and all forward click on the magazine cover. Once inside please take special note of the navigation features. To access page thumbnails please click on the thumbnail button on the far left. You may make the magazine full screen by clicking on the button on the far right. The arrows will advance or retreat on page at a time. There are size settings in the center as well. 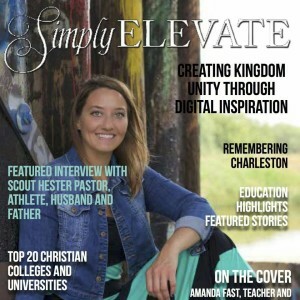 We are so pleased to have you visit our current issue of SIMPLY ELEVATE MAGAZINE. This issue will feature best selling authors as well as hot and timely topics and issues. There will be many different sections in the magazine ranging from inspiration, fashion, health and fitness, and much much more. This issue will also feature new technology that blends LIVE broadcast television and radio with digital publishing. The technology is called L’BROMM PUBLISHING TECHNOLOGY (it is copyrighted and legally protected technology). We hope that you enjoy this issue. If you have general concerns or content questions please feel free to contact Angel Barrino through the SIBN CONTACT PAGE, or call 844-SIBN-NET ext 804.